A few weeks back, I was in Clonakilty for a stroll and I can’t resist a bookshop, especially when it is an independent one. I found a few books I was interested in but had to restrain myself as my wonderful husband was with me. As much as he loves me, his love for cookbooks is limited. So, I only bought one book on wild food and left others behind. 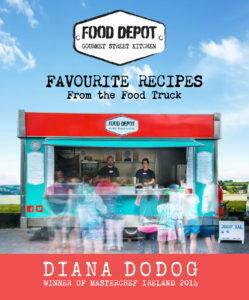 One of them was Diana Dodog’s Food Depot – Favourite Recipes from the Food Truck. As life can be quite funny, I met Diana Dodog and her husband at the Food: Facts, Fads & Phonies Conference a few years later where she catered for the event. Delicious pork belly, lamb sliders, bessara, magic slice and double chocolate brownies. The food was delicious and was gone quite quickly when the buffet opened. I loved the slow cook pork belly (came from Caherbeg Free Range Farm) and the bessara with homemade sesame crackers. 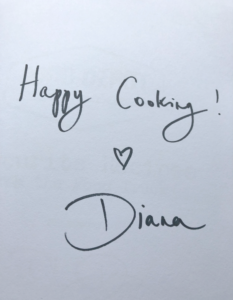 As it happened, Diana also brought along her cookbook and as I was contemplating if I had enough cash on me to buy one, she came over to gift me the book. I was over the moon as I wanted to know how the made the bressara. I had never the pleasure of eating Diana’s food as everytime I made it to Courtmacsherry, it was too late and she had already closed her food truck at the beach. When I saw the colourful and beautiful plated food at the conference, I had to hold back not to push people out of the way. The food is stunning, attractive and utterly delicious. The pork belly, although cold, was tender as a cloud of magic, the hoisin dressing gave it an interesting hint of Asia and the fresh lettuce was the perfect ‘jacket’ for it. As I am not the biggest fan of lamb, I skipped on the slow-cooked lamb shoulder sliders but looking at people’s faces, I could only imagine how good they were. 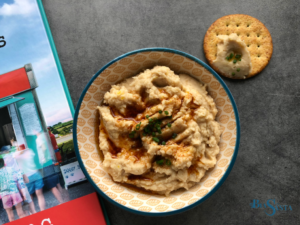 The bessara, a butter bean dip with sesame crackers had me coming back for seconds (and thirds, fourth ….). The double chocolate brownie is something for proper chocoholics, rich, scrumptious but it was the magic slices that had people coming back. The magic slice is a mix of biscuits, dried fruit, coconut and condensed milk – how can that not taste amazing. 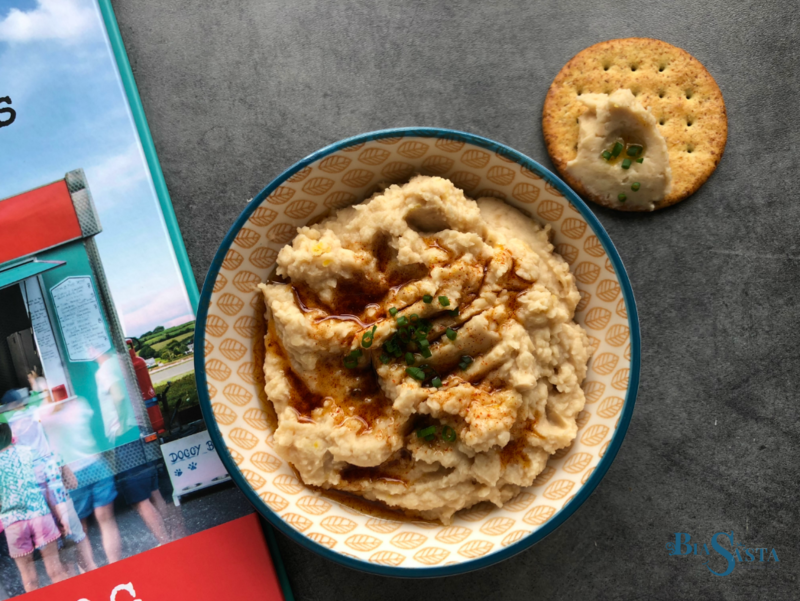 I took the book home proudly and went shopping on the way for butter beans and made the bessara – I have never been to Hungary but I need to go soon if the food that Diana cooks is anything to go by. Bessara is so easy to make it is almost embarrassing that I followed the recipe. I wanted to write this review, so I needed to follow it – and guess what: It is perfect as it is. Don’t mess with it. 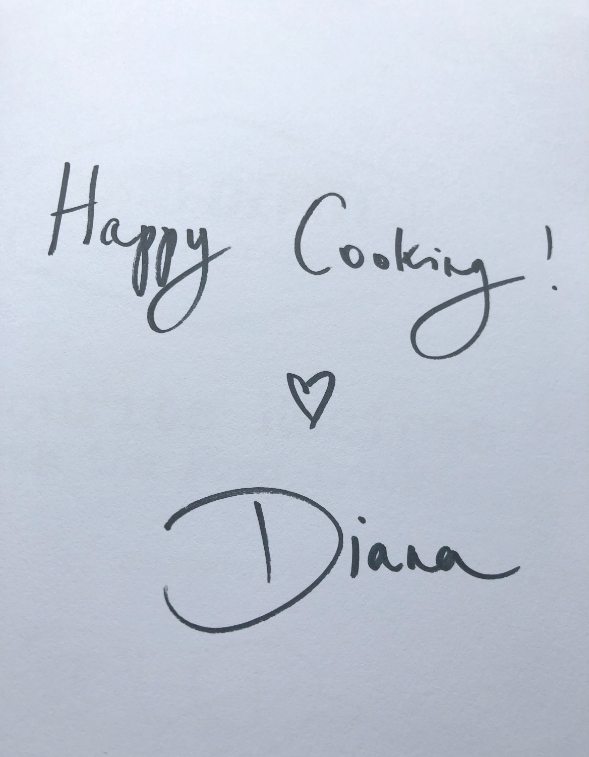 The book is written in a lovely personal style, you feel you are with Diana in her home kitchen when her grandmother cooked dinner for the whole family, or when she met her husband Mike. Her love for her food is visible in each recipe and her knowledge of flavour makes her food so amazing. Instructions are easy and all ingredients are easily available. She pays tribute to the wonderful producers she is working with and highlights the importance of the connection between her food and where it is comes from. 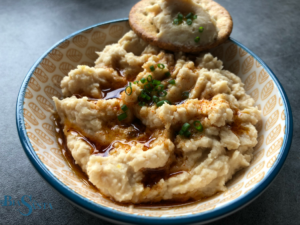 Looking at her recipes, it is no wonder that she won Masterchef Ireland in 2014.